Emma Roberts at CHANEL DINNER FOR NRDC. Emma Roberts at the California premiere of "Valentine's Day." 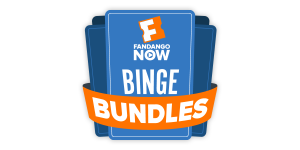 Emma Roberts stars in "Nancy Drew." Emma Roberts as Noelle in "It's Kind of a Funny Story"
Emma Roberts as Riley in "Celeste and Jesse Forever." Emma Roberts at the L.A. premiere of "Aquamarine." Emma Roberts at the 42nd annual Academy of Country Music Awards in Las Vegas. Emma Roberts at the 20th annual Kid's Choice Awards in California. Emma Roberts at the L.A. premiere of "Music and Lyrics." Emma Roberts at the California premiere of "Pirates of the Caribbean: At World's End." Emma Roberts at the 2007/8 Chanel Cruise Show in California. Emma Roberts at the L.A. party for Laura Meyer and Robyn Roth's new book. Emma Roberts at the California premiere of "She's the Man." Emma Roberts at the California premiere of "Superman Returns." Emma Roberts at the California premiere of "The Family Stone." Emma Roberts on MTV's Total Request Live in N.Y.
Emma Roberts at the Hollywood premiere of "Nancy Drew." Emma Roberts at the American Girl Store in N.Y. to promote "Nancy Drew." Emma Roberts at the 6th Annual Teen Vogue Young Hollywood party. Emma Roberts at the 2008 Toronto International Film Festival. Emma Roberts at the opening party for Juicy Couture's 5th Avenue flagship store at Juicy Couture boutique. Lisa Kudrow and Emma Roberts at the premiere of "Hotel for Dogs." Emma Roberts at the celebration of the Dreamworks Pictures and Nickelodeon Movies release "Hotel For Dogs." Emma Roberts, Lisa Kudrow and Jake T. Austin at the premiere of "Hotel for Dogs." Model Leah and Emma Roberts at the Rosemount Sydney Fashion Festival 2008. Emma Roberts at the premiere of "Lymelife" during the 2009 Sundance Film Festival. Emma Roberts and Jill Hennessy at the screening of "Lymelife" during the 2009 Sundance Film Festival. Emma Roberts at the after party of the premiere of "The Curious Case Of Benjamin Button." Jake T. Austin and Emma Roberts at the celebration of the Dreamworks Pictures and Nickelodeon Movies release "Hotel For Dogs." Emma Roberts at the screening of "Lymelife" during the 2009 Sundance Film Festival. Emma Roberts and Sam Rockwell at the screening of "The Winning Season" during the 2009 Sundance Film Festival. Jessica Szohr and Emma Roberts at the opening party for Juicy Couture's 5th Avenue flagship store at Juicy Couture boutique. Emma Roberts at the premiere of "Hotel for Dogs." Emma Roberts at the 66th Annual Golden Globe Awards. Emma Roberts as Grace and Carter Jenkins as Alex in "Valentine's Day." Emma Roberts in "Scream 4." 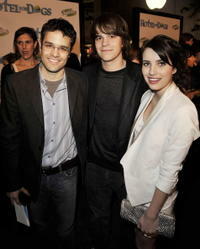 Director Thor Freudenthal, Johnny Simmons and Emma Roberts at the premiere of "Hotel for Dogs." Emma Roberts at the Whitney Museum of American Art's Gala and Studio party. Carter Jenkins as Alex and Emma Roberts as Grace in "Valentine's Day." Emma Roberts at the Hollywood Life House. Emma Roberts at the premiere of "The Curious Case Of Benjamin Button." Emma Roberts at the 2009 Sundance Film Festival. Jake T. Austin, Don Cheadle and Emma Roberts at the premiere of "Hotel for Dogs." Jake T. Austin and Emma Roberts at the premiere of "Hotel for Dogs." Emma Roberts as Grace in "Valentine's Day." Emma Roberts in "It's Kind of a Funny Story." Emma Roberts at the screening of "The Winning Season" during the 2009 Sundance Film Festival.